We’ve always loved wood-paneled walls for the warm and stately quality they bring to a space. But a recent install in a Manhattan home better acquainted us with leather-paneled walls, which are like an elevated, more refined take on wood paneled walls … and officially usurped our love for wood paneling. Even better than a room framed by leather walls was the art collection that was to be hung on them. A collection of brightly, rabbit eared paintings mounted in mismatched antique frames. In other words, a fun and playful arrangement that would perfectly balance out the gravitas and sophisticated of a room shrouded in rich walnut and leather. The process for hanging art on leather walls was more straightforward than you might think. After first arranging the art on the floor to get the placement just right, our team used nails and picture hangings hardware to secure each piece to the wall. Have an atypical wall you’d like to hang art on? 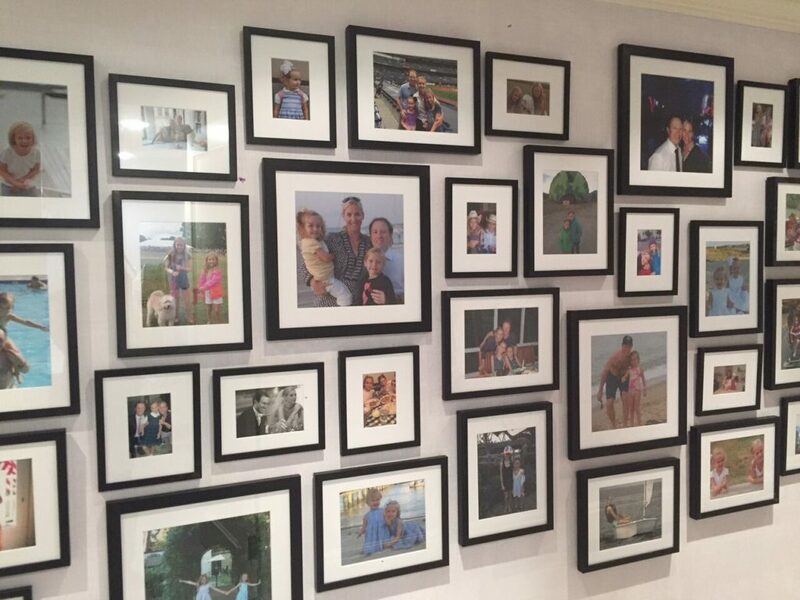 We’ve hung fine art, gallery walls, and family photos from windows, mirrored walls, brick and more. Get in touch with us to discuss your project!